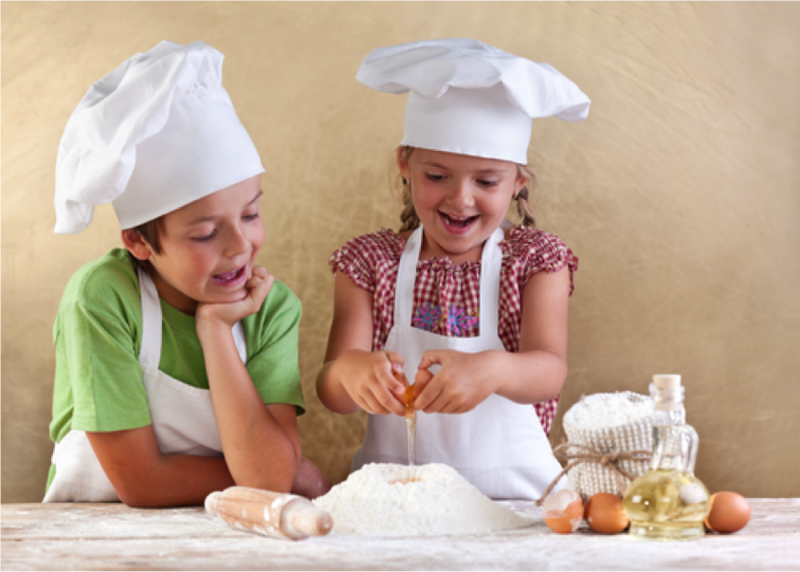 Did you know that most kids LOVE to cook? At My Olive Tree we believe that cooking is an important life skill to pass on to the next generation. It is also imperative to instill the importance of enjoying a healthy and nutritious diet beginning at a young age. 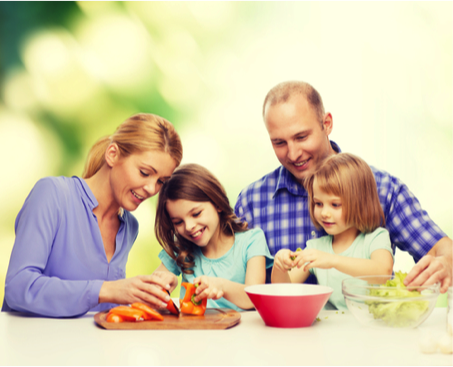 Cooking with mom or dad can be a great way to get them involved in the process of making healthy meals. It is also a fun way to make memories as a family. Preparing this 7-layer dip is fantastic for older and younger children alike. 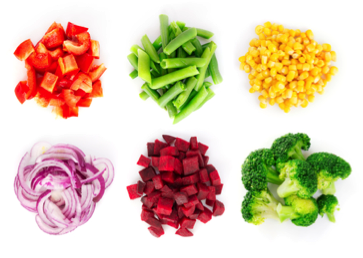 Older children can learn how to chop veggies, while younger age groups can help put the layers together. 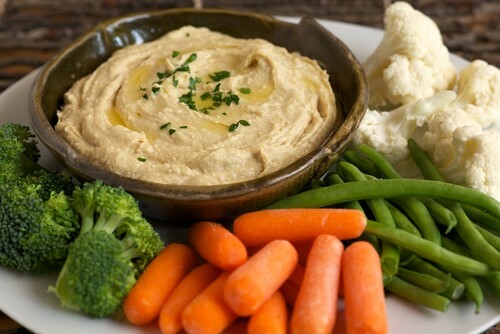 Directions: Spread the hummus on the bottom of a rimmed serving dish. Spoon the tzatziki on top and spread on top of the hummus. Top the tzatziki with a layer of tomato, black olives, feta, pine nuts and scallions. (We saved just a few pieces of tomato to throw on top, so all the colors were showing.) Drizzle olive oil over the top and season with salt and pepper. Serve with pita chips. You can also substitute the tzatziki with Baba ghanoush for another great variation! We have also included a recipe for making your own pita chips. This is a fun and easy recipe that many kids love and enjoy as an afternoon snack or in combination with a meal at lunch or dinner. Remember, kids have very unique pallets, and although you might want them to try something exotic, take it slow. Their tastebuds are heightened. What might taste great to you as an adult may not be something they are ready for just yet. It is important that cooking be a positive learning experience. So if they don’t enjoy something that you’ve made together, make sure and point out when someone else gobbles down your homemade creation. This will allow them to get joy from the process, even if the food wasn’t their favorite. Learn to laugh with them when you make mistakes. Don’t worry if something doesn’t turn out. Try to make the most of it. Remind them, and yourself, that not everything has to be perfect—just the time together is worth it. If you are worried about the mess factor, we totally get it. However, we encourage you to start slow. And don’t be afraid to include them in the clean up process as well. Once they learn that the bigger mess they make, the more cleanup is involved, they will compensate the next go around. A love for cleaning and taking care of things is a skill that doesn’t often come naturally to any of us. It takes time to learn a new skill, and with a large dose of your encouragement, soon your little chefs will be begging to make dinner on a regular basis. Of course we want to caution you to be extra aware when training children to work with kitchen equipment and working on, or around, the oven and stove. Although they may think they understand, it can be easy to forget that a burner is hot or that a knife is sharp. We hope you have fun sharing this recipe with your kiddos! If you would like to purchase a bottle of My Olive Tree’s Extra Virgin Olive Oil to create your foodie masterpiece click here.